Comment: Need to complete metal roof install on a 315sq ft Tiny House build - roof is 8.5'x35' hightest point 13.5. Unit is under a RV cover and all material are on site, labor only required. Comment: I would like to get an estimate for a project. I need to repair my roof that is over a patio that is leaking. My home is a 2 story, but this is on the 1st floor. Comment: "L" shaped residence, approximately 1500 sq. ft. with some construction to deflect water away from chimney and severe leak problem; wind mitigation required. Comment: Remove and replace 2 areas @ 160sf each. Very shallow pitch, almost flat. Comment: "L" shape house of approximately 1500 sq. ft. with some construction needed to deflect water away from existing problem area at chimney. Comment: I would like to get an estimate for replacing the roof on my mother in law house. Crystal River Roofing Contractors are rated 4.68 out of 5 based on 116 reviews of 7 pros. 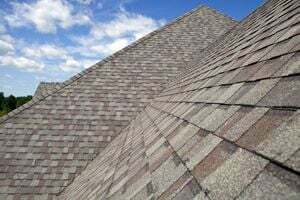 Not Looking for Roofing Contractors in Crystal River, FL?